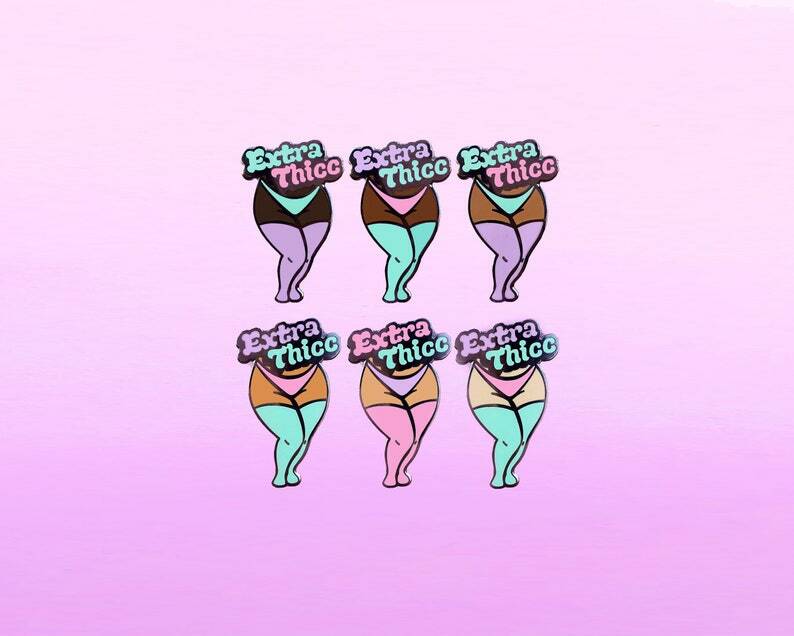 E X T R A . T H I C C .
Shoutout to all my thick thighed babes! 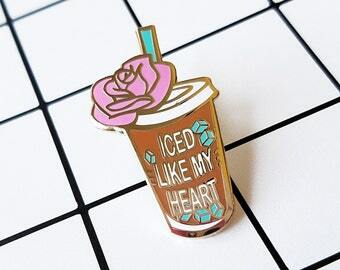 From coke-bottle queens to voluptuous goddesses, this pin celebrates my girls who are thick with two C's! The perfect gift to treat yo self or bestow upon your best curvy friend! This pin measures 1.77" (45mm) and is made with black nickle-plated hard enamel. Want the sticker? Get it here! Brings me the encouragement I need to SLAY er day.